Eid-UL-Adha is the Muslims festival, which is celebrated on the 10th of Zill Haj according to the Muslim calendar after the completion of the Holy obligation Hajj. This festival is celebrated to regenerate the Sunnah of Hazrat Abraham (A.S) by sacrificing the holy animal in Allah’s way. 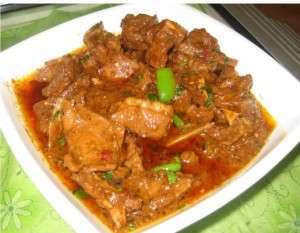 Delicious and unique meat dishes are made which make your Eid day special and enjoyable. These recipes are very common and most favorite of all people. So many special and easy recipes are cooked on Eid Day. So what are you waiting for take a look at these yummy recipes and get ready to cook them on this Eid ul Azha. 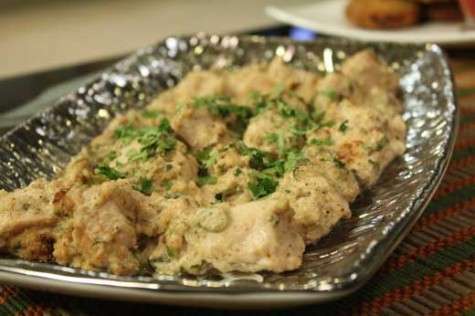 Kaleji is the most special dish on the first day of Eid. After the slaughtering of animals the first part of the meet that reaches your kitchen would be Kaleji. Many house wives cook kaleji in different styles. Tawa kaleji is very easy to cook and delicious to eat. Take all spicy powder mentioned above, crush coriander seeds, cumin, dry fenugreek and finely chopped tomatoes. Then grease the fry pan and heat it. Put all the marinated Kaleji on it. Fry it well until fully cooked. Garnished Kalegi with topping of green chili and finely sliced ginger. Serve the Tawa Kalegi with Naan, Chapatti or Paratha. Batta Ghost is also called a Pasanday. Mostly people like to eat Pasanday on Eid. They are easy to cook. Hammer the pieces of meat well. Put them in the pan with half cup of oil. Add the black paper, red chili and cumin one by one while cooking. Also add green chilies in end. Add water in it and leave it to cook in Dum. When water is dry, add few drops of oil and cook it for 15 minutes. Take it out in a dish. Add lemon juice on it and enjoy it with paratha or tomato ketchup. 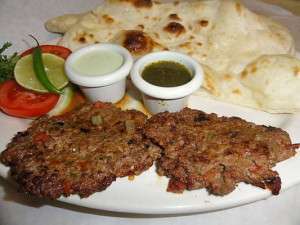 Chapli Kabab is the one of most famous and favorite dishes. Take all the ingredients in a bowl and mix well with minced beef. Leave it for 15 to 20 minutes. Take the mixture in your hands roll it and make smooth balls and press them firmly between your palm. Make Kababs of medium size. 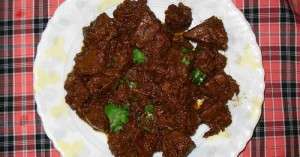 Heat the oil in frying pan and fry the Kababs until they give a brown color. 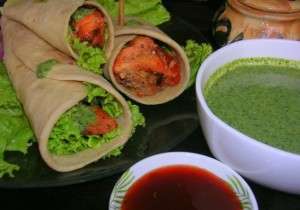 You must have heard and made chicken paratha roll, but Mutton Partha Roll must be tried on this Eid. This is very tasty and spicy. Marinate the meat with vinegar, lemon juice, ginger garlic paste and yogurt and leave it for 3-4 hours. Then fry on a grill pan with small amount of oil. Take all purpose of flour and wheat flour, add salt and oil in it and knead it well with water. Make the paratha and fry in ghee. Now put mutton boti along with imli chuttni and onion and make a roll. Serve them with ketchup or mint sauce. Previous story Veena’s Son has set a Record!!!! !